Amazing place. Love the atmosphere and everyone is so helpful and friendly. Fantastic location as it is a short walk to the large square, the markets and bus routes. Really enjoyed sitting up on the terrace in the evenings and had superb breakfast and dinner there. Thanks for an unforgettable time! Really great stay. Location is perfect, staff are cool and the people I met were very chilled and nice. I only stayed in Kaktus for one night, but I wish I could stay longer! The accommodation is fantastic and in a great location. The staff are very helpful and provided us with information on what to do and where to go! 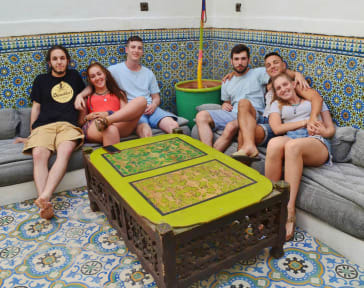 The hostel is right next to the main square (Jamaal El fna) and a large soul, as well as being very close to Bahia palace! Really nice staff who tried very hard to make you feel at home!! :) amazing location - everything is easily accessible from here. Great base for exploring Marrakech! Lovely made brekky every morning. Great value for an unbeatable price!! Unfortunately only two toilets and three showers for everyone, but it works alright. It was clean all the time! Just one of the mattresses was very hard and uncomfortable. Although the staff helped with more blankets during cold nights and was always friendly! Great location Friendly staff Wifi good Great for the price Shower at nit water hotter then. Pretty nice little place within 5 minutes of the main market square. Electrical outlets by the beds and secure lockers. WiFi was good. Only disappointment was: I was told they would bring me breakfast before the 7am tour I signed up for, but they never did. Use GPS to get close, then look for the signs posted in the alleyways. Very friendly hostel, nice guys at the reception. Some suggestions: payment by card and spare hairdryers for the guests. Ps. : breakfast is served too late (9.45). 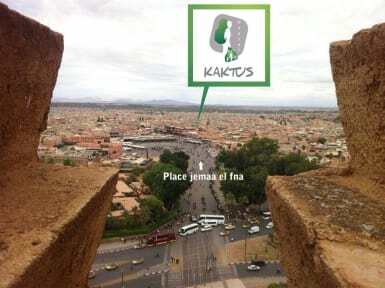 Kaktus Hostel is highly recommended! The Staff is amazing, always helpful and very nice, thanks to this guys the atmosphere in the hostel is always amazing! I met more than one traveler who came back here for say hello to the guys in the hostel! ( I will probably do the same). The location is perfect, just behind the central square of Marrakech and the breakfest is included (not common in Marrakech). The only bad point were the services, with only one toilet for the entire hostel.